In May 2017, N. Bruce Duthu, an associate dean and faculty member in Native American studies at Dartmouth College, announced that he would not be accepting the appointment he had been offered to become dean of the faculty. An enrolled member of the United Houma Nation and an authority on Native American law and public policy, Duthu had been serving as associate dean of the faculty for international studies and interdisciplinary programs; he thus had a track record as an administrator responsible for a range of faculty interests and curricular programs crossing disciplinary boundaries. Faculty members from a number of programs had direct experience working with him and had developed considerable confidence in his judgment and abilities. It was a widely popular appointment. One issue, however, became a subject of both local and national debate: in 2013, as treasurer and a member of the executive committee of the national Native American and Indigenous Studies Association, Duthu had helped draft and thus co-author the organization’s statement calling for a boycott of Israeli academic institutions, as part of what is referred to as the boycott, divestment and sanctions movement. 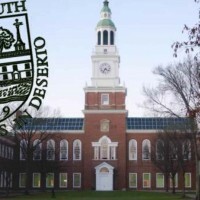 Alan Gustman, an economics professor at Dartmouth, this year circulated a letter arguing that those actions made Duthu unsuitable to be dean of the faculty . . . The statement went viral, and individuals and groups joined the debate, both defending and attacking Duthu. In the end, Duthu decided the controversy had gotten in the way of his doing the job and withdrew, simultaneously resigning as associate dean. She added, “Why did we support him? Bruce helped me, as chair of JWST, with our student exchange program with Israeli universities, set up two courses per year on Israel [and] bring visiting faculty to teach at Dartmouth — including Hillel Cohen, director of the center for the study of Zionism at Hebrew University; Israel Yuval, a professor of medieval Jewish history at Hebrew University and director of Scholion and of the Hebrew U’s humanities center; and Jeremy Cohen, a professor of medieval Jewish history at Tel Aviv University — all teaching at Dartmouth within the space of two years. In each case, Bruce arranged everything quickly and enthusiastically — and believe me, no dean has ever been as efficient and supportive. Plus, Bruce has been invited to lecture at Hebrew University and accepted with enthusiasm. Truth: he is no boycotter.” . . . The problem begins with how we understand what occurred in 2013, which requires some historical context. Based on the historical experience of European colonization throughout the Americas, Native American studies faculty tend to accept the related ill-informed claims that Palestinians are the only authentic indigenous people of Palestine and that the state of Israel was founded as a European settler-colonialist enterprise. BDS has been promoting these arguments for years, ignoring or disparaging the important historical and genetic evidence to the contrary. . . .
. . . Native American faculty members who lecture or perform in Israel can be subjected to fierce critique and both local and national shunning. So it was to be expected that the NAISA executive committee would vote as it did. The statement they endorsed was reportedly a more moderate one than that they had been considering, and that may have encouraged Duthu to support it. Many progressive faculty members were frustrated with the failure of peace negotiations to settle the Israeli-Palestinian conflict, and some accepted the need to criticize and isolate the more powerful of the two parties involved. . . . But Duthu has made clear he no longer shares the position adopted in the NAISA statement.
. . . It was perfectly reasonable, therefore, for Dartmouth faculty to want to believe that Duthu could be counted on both to support Jewish studies and to give a fair and sympathetic hearing to well-argued proposals for faculty travel to Israel or research and pedagogical collaborations with Israeli universities. Given Duthu’s role in organizing and signing an academic boycott resolution, the concern was warranted. But Duthu’s own statements and the personal history Heschel recounts provide those assurances. Once we know he now rejects academic boycotts and know as well what kind of dean he would have made, we really do not need an account of the personal processes he went through in 2013 and since.
. . . [G]iven that Duthu had the courage to distance himself publicly from the small and relatively close-knit NAISA community by rejecting academic boycotts, his deanship offer gave the Jewish community an opportunity for outreach and solidarity. That is a far better strategy than holding someone eternally responsible for boycott advocacy they later withdraw. . . . While those leaders of the BDS movement who urge the dissolution of the Jewish state have embraced an anti-Semitic project, it is not uncommon to find students and faculty members who have signed BDS petitions while privately admitting they don’t actually know much about the Israeli-Palestinian conflict. They have responded to social and political peer group pressure and done what they believe is surely the politically correct thing to do. An endorsement of a BDS resolution does not justify claiming a person has knowingly made an anti-Semitic alliance. It does justify an effort to educate someone about why an effort to deny six million Israeli Jews any right to political self-determination is anti-Semitic in effect, however confused its intent may be. The bottom line is that applying any such considerations to an administrative appointment has to apply principle on a case-by-case basis that gives great weight to past practice. . . . Of course making careful personnel decisions is messy and inconvenient and makes grandstanding undesirable, which ruled out a good deal of the debate in this case.
. . . Uncompromising political partisanship on either side of the debate damages the potential for campus discussion here and political negotiation in Palestine. Properly honored, academic freedom can help reverse both trends. Our strong impression is that Bruce Duthu has had a long-standing commitment to the sort of civility that fosters academic freedom. We consequently view Duthu’s withdrawal and resignation as a defeat for all sides: for those seeking clarity about the status of academic freedom for administrators; for those who believe that strong majority facultywide sentiment should be honored in approving administrative appointments; for those who believe university appointments should not be influenced by outside pressure; for those seeking to strengthen both Jewish studies programs and cooperative engagement with Israeli universities; for those welcoming the advancement and influence of Native American faculty; for those concerned about the number of recent anti-Semitic incidents on campus. If any of these constituencies are celebrating those events as a victory, we believe they have misjudged the long-term consequences. This links to the entire statement at the “Inside Higher Ed” website.